Dr. Robert Stearns is the founder and executive director of Eagles' Wings, a dynamic relational ministry involved in a variety of outreaches and strategic projects around the world. He and the Eagles' Wings team are dedicated to building unity within the Body of Christ, bringing understanding of the Jewish roots of the Christian faith, and cultivating passionate disciples of Jesus through young adult leadership development. He has ministered in 30 nations around the world and maintains a significant burden for the United States and for Israel. 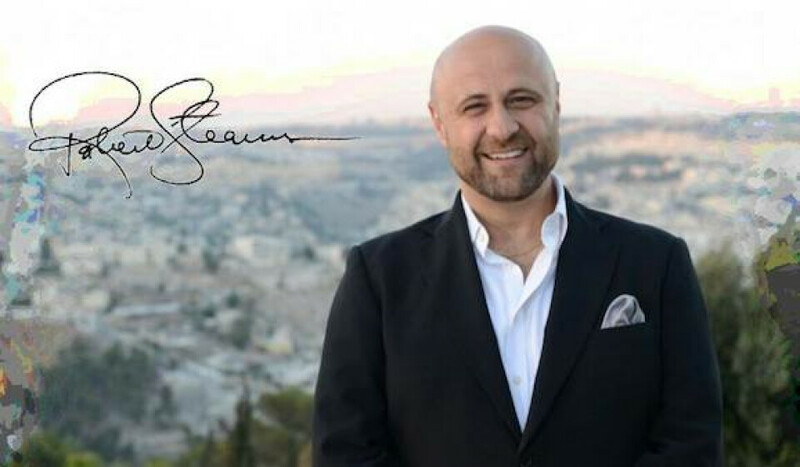 Robert is the visionary behind the worldwide prayer initiative, “The Day of Prayer for the Peace of Jerusalem” which is observed annually on the first Sunday of October and has the participation of 300,000 churches in 175 nations. Robert and Dr. Jack Hayford serve together as co-chairmen of the mass prayer mobilization, representing the largest prayer movement in history focused on Jerusalem. An author of five books, Robert Stearns is a powerful communicator. He has been a featured guest columnist for Charisma magazine, as well as guest editor for Ministry Today magazine. He was awarded one of “30 Emerging Voices” of global importance under the age of 40 by Charisma magazine. Robert’s book, “No We Can’t,” received critical national acclaim and was endorsed by Joseph Lieberman and other leaders. Robert is also an accomplished recording artist and soloist, with performances in the US, Europe and Israel. He has performed the national anthem before the US Congress at the annual American Israel Public Affairs Committee (AIPAC) Convention, and was featured as a soloist at the prestigious Carnegie Hall. He was a guest soloist at the renowned St. Patrick’s Cathedral of the FDNY 15th Anniversary 9/11 Memorial Services. He has been a guest on radio and television, including appearances on the 700 Club, Daystar Network, and Trinity Broadcasting Network. Some of Robert’s notable achievements include the American Israel Friendship Award, the Ed McAteer “Tree of Life” Award presented at the National Religious Broadcasters Convention, and the Faithful Ambassador Award by the State of Israel Ministry of Tourism. Recently, Robert was appointed as the overseeing bishop of the historic Full Gospel Tabernacle in Orchard Park, NY. Robert and his family live in Clarence, New York, and spend a great deal of time in Jerusalem, Israel.